Enjoy fast, free wireless at Caribou Coffee. The network identifier or SSID to "Caribou." Caribou Coffee uses Wandering WIFI as its Wifi Provider. 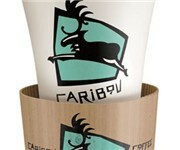 How Would You Rate Caribou Coffee?